Well, there’s a new cluster in the making. 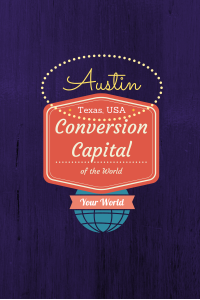 Austin, Texas, is now recognized as a cluster for conversion optimization experts. And it’s a big enough cluster that some are willing to go all out, calling it the Conversion Capital of the World. What’s the big deal about Austin, you might ask? Bryan Eisenberg once said that conversion = art + science. And since Austin = music + geeks, it’s possible the city is the perfect mix for conversion geeks. Anyway, that’s what I wanted to explore. So I contacted a few of the Austin-based CRO experts to get their feedback. What follows are 18 CRO experts who have made Austin their home—who they are, why they’re worth following, and why they picked Austin. Take a look, and experience for yourself the pull of this magnetic city… not just because you’d get to hang out with this impressive crowd, but because Austin is, without question, the Conversion Capital of the World. Brian is the Conversion Scientist at Conversion Sciences and has the lab coat to prove it. He has a rare blend of technical talent and marketing vision and has built a reputation for solving complex problems. Author of Your Customer Creation Equation, he’s also a renowned teacher of conversion optimization. In this book, he shares five website formats proven to get results, as well as when, where and how each format should be used, so you know which one is right for you—even if you’re not a conversion scientist, yourself. Brian is best known for transforming websites through a steady diet of visitor profiling, purposeful content, analytics, and testing. Website optimization is a fundamentally entrepreneurial endeavor. Austin has that entrepreneurial vibe, which provides rich soil to grow an agency. Joel is Managing Partner and Chief Operations Scientist at Conversion Sciences and, like Brian, has the lab coat to prove it. His passion is using scientific analysis and testing techniques to grow profits for clients. Joel combines deep expertise in video for business, optimization testing, online operations, SEO and business development with unyielding passion and dedication to achieve extraordinary results. Throughout his career, he’s overseen the production and the impact of over 30,000 e-commerce videos, has developed cutting edge universal SEO techniques, launched and monetized dozens of web sites and web products, built and led teams and has tightly managed a P&L every step of the way. His goal is the make Conversion Sciences THE most CFO Friendly Marketing Investment on the planet. Bryan is an internationally recognized authority and pioneer in online marketing, improving online conversion rates, persuasive content, and persona marketing. He and his brother Jeffrey founded the first agency focused exclusively on conversion rate optimization in 1998, after having been client side for a few years. They published the first New York Times best-selling book on conversion optimization, Call to Action, in 2005. Their book, Waiting for Your Cat to Bark?, was a #1 Wall Street Journal bestseller, and introduced their system to plan persuasive experiences. Bryan has been awarded numerous accolades over the years, including being recognized by eConsultancy members as one of the Top 10 User Experience Gurus, being selected as one of the inaugural iMedia Top 25 Marketers, and a Marketing Edge Rising Star Award winner in 2010. He is also the co-founder and Chairman Emeritus of the Web Analytics Association (now the Digital Analytics Association). Bryan serves as an advisory board member of Search Engine Strategies, the eMetrics Marketing Optimization Summit and several venture capital backed startup companies. Today he is a high demand as a keynote speaker in the US and abroad. It will be two years since Bryan moved to Austin from Brooklyn, NY. Over the last 12 years or so of visiting, Austin has always been a great center of technology and innovation, the marriage of arts and hard sciences. Aside from the fact that Austin has one of the most thriving tech startup scenes, it’s considered one of the best cities to raise a family (I have 3 kids) and, of course, a great value for the quality of life available. 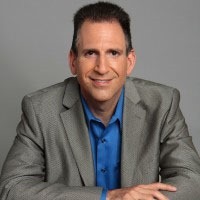 Jeffrey, together with brother and partner Bryan Eisenberg, co-wrote marketing optimization books Call To Action and Waiting For Your Cat to Bark?, both Wall Street Journal and New York Times’ list bestsellers. Since 1998, they have trained and advised companies like HP, Google, GE Healthcare, Overstock, NBC Universal, Orvis and Edmunds, to implement accountable digital marketing strategies emphasizing optimization of revenue conversion rates for engagements, leads, subscriptions, and sales. Jeffrey is a thought provoking marketing speaker who reads voraciously, travels extensively, loves dogs, and is also a foodie who speaks Spanish with native fluency. I really like Austin and I don’t miss the winters, hassles or expenses of New York City. But to be honest, I moved here for love. 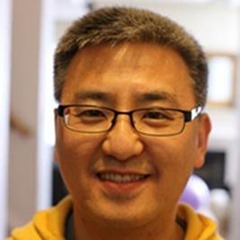 Ed Wu is currently the marketing director of Dell.com, the world’s premier ecommerce (B2C and B2B) website. In his role, Ed manages all Dell.com experimentation, testing and optimization across all business units including B2C, B2B and Support sites globally. Ed’s passion is to deliver a world-class online experience by building an innovation engine that enables constant and rapid changes through insightful analytics and best-in-class testing and optimization capability. He is a champion and evangelist of “test and learn” culture inside and outside Dell. Under Ed’s leadership, Dell.com analytics and testing team have grown to one of the largest and best in global Fortune 500 enterprises. Not only highly recognized by Dell’s senior executives, the team won twelve gold/silver awards from WhichTestWon.com and was given the 2012 Practitioner of the Year, Award for Excellence by the Digital Analytics Association (DAA). Ed is an active member in the digital analytics industry and has served two terms as the Board of Directors of DAA. He is also the first place winner of 2009 DAA Championship and one of the first Certified Web Analysts by DAA. 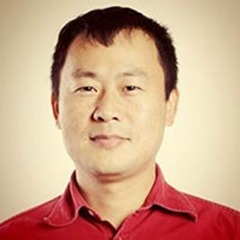 He was 2010 keynote speaker for eMetrics marketing optimization summit and a huddle leader/presenter for Click Summit 2012 in New York. I came to Austin to work for Dell in 2004 and have been here ever since. Increasingly I found it is difficult to leave here for other places, even with higher compensation. Cost and quality of living here is a big factor for sure. But I also believe in the future of Austin will be even brighter. There are a number of companies such as Dell, HP, OfficeDepot, RetailMeNot.com, etc., that already have sophisticated analytics/testing programs here in town and I believe, sooner or later, other companies will find Austin an ideal place to build their digital marketing hub. As that happens, professionals like us will have many more opportunities. There is no reason that Austin can’t crown itself as “The Capital of Optimization” as long as we dream big and work hard. Peep is the face of ConversionXL and is an entrepreneur and conversion optimization junkie who focuses on one thing: optimizing websites to deliver better user experiences and produce significantly more results (more leads, more sales, more pizazz). He also runs a unique conversion optimization marketing agency called Markitekt. Peep shares actionable conversion rate optimization advice based on scientific research and in-depth industry knowledge. If that’s what you’re looking for, you don’t want to miss his book, How to Build Websites that Sell: The Scientific Approach to Websites, or the ConversionXL blog. Because of the women! No joke. I didn’t move to Austin because of great beer (512 Pecan Porter FTW), Rudy’s BBQ or cool people like Brian Massey (I discovered all of that later). I did it for love. My wife is from Austin, and she brought me here. John has been measuring and optimizing online properties from startup to Fortune 100 since the early days of ecommerce. He currently serves as Director of Global Analytics Platforms for RetailMeNot, Inc., the world’s largest digital coupon marketplace. Active in analytics and vendor-specific thought leadership groups, John’s focus is on measuring what matters. Tracking starts with business questions, not the question of which homegrown or customized off-the-shelf solution is best. Essentially, he asks the question, Does the potential optimized revenue offset (at least) the cost of knowing? If not, move on. Cool don’t pay the bills. Austin is not new to the cutting edge. Companies such as Human Code were instrumental in marrying art and science in the Wild West days of multimedia and edutainment in the ’90s. Another Austin Ventures company, Garden.com, helped write the book on ecommerce. Austin continues to attract “big city” talent, while maintaining a “small-town” feel for its digital community. There’s a rich tradition of storytelling here, and whether it’s through music or analytics doesn’t seem to matter much. That facility with using data in making business decisions carries on in companies like RetailMeNot. And we’re cradled by a fertile crescent of the world’s best BBQ. 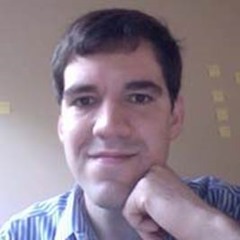 Charles is Director of AB Testing at RetailMeNot.com, the Internet’s largest coupon site, and is responsible for setting up and running the global optimization program. In the past, he was directly involved in putting together successful global optimization programs at OfficeDepot.com and Dell.com, the fifth and sixth largest eCommerce sites respectively. Charles has a deep understanding of the retail industry and is a passionate advocate for the use of site optimization as a competitive edge in eCommerce. Is there any doubt that Austin is in a prime position for CRO? Austin has a young and highly educated population, low cost of living, a hip and progressive culture and—with so many successful online start-ups in the metro area such as RetailMeNot, uShip and HomeAway—top talents are flowing into the city every day from all over the world. In the past few years, this field has gained so much importance that the local companies have been sponsoring Conversion conferences such as the DAA Symposium and The Live Event from WhichTestWon.com. On top of that, there are weekly Web Analytics Wednesdays for the local analytic geeks and optimization fanatics to gather and social. I am walking proof of all this. I graduated from UT Austin and never wanted to leave the city. When I joined OfficeDepot.com, one of the criteria was not to move away from Austin. The combination of all these factors will make Austin the Conversion Capital of the World, if it isn’t already. One more thing, the food here is awesome! 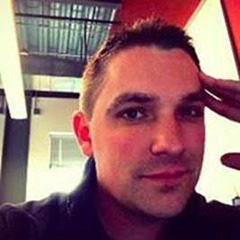 Ryan Deiss is founder of Idea Incubator LP and CEO of DigitalMarketer.com. He operates, invests in and consults with dozens of successful businesses both online and off-line. An avid tester, Ryan has invested more than $15,000,000 on marketing tests, generated tens of millions of unique visitors, sent well over a BILLION emails, and run approximately 3,000 split and multi-variant tests, applying a process called Customer Value Optimization. He runs the annual Traffic and Conversion Summit with over 2,000 attendees, writes for the Glazer-Kennedy Inner Circle, and is one of the most sought after digital marketing consultants and speakers in the world. The motto of Austin, Texas is “Keep Austin Weird,” and weird is exactly what you’ll need to be if you want to succeed at digital marketing. 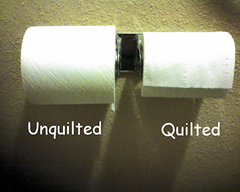 Conversion optimization is rarely intuitive. Stuff that should work often DOESN’T, and stuff that shouldn’t work sometimes does. We keep it weird down here in Austin… because that’s where the big breakthroughs come from. 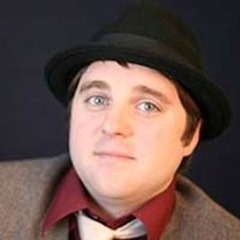 Noah is founder and Chief Sumo at AppSumo.com and Monthly1k.com. He also runs OkDork, a personal blog focused on startups, marketing, self-exploration, and tacos. In previous lives, he was a cubicle monkey at Intel, #30 at Facebook and #4 at Mint. At Chief Sumo, he works with other former Facebook, Mint and Curse employees to promote cool (and geeky) tools and content to help entrepreneurs succeed. Noah states in his blog that his goal was, at one time, to own a company he could run from anywhere—even the beaches of Thailand or Argentina. I chose Austin for the tacos. After that everything else. Weather, cost of living, friendly people, central (literally) in the USA and great outdoors. The tech scene is small and doesn’t feel like the echo chamber of the Bay Area. CEO of ApogeeResults.com, a McKinsey & Co. and Dell Computer veteran, Bill draws on a deep expertise in both business and marketing to help increase revenues for a wide range of clients. Bill has been driving provable revenues through Internet marketing techniques since the mid 1990s when, as part of the management team at Power Computing, he built the first company to sell $1 million of product over the Internet. 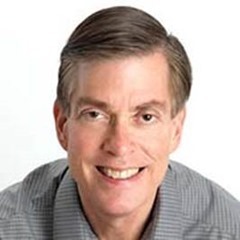 Bill has guided Apogee-branded marketing companies from inception to success, creating one of the largest independent online marketing agencies in North America and one of the fastest growing companies on the Inc. 500 list. Apogee has been particularly instrumental in building dozens of “Internet Retailer 500,” “Software 500,” and VC-backed companies, growing more Inc. 500/5000 companies than anyone else in the industry, and serving top global brands like Whole Foods, IBM, SAP and Hewlett Packard. 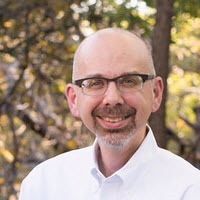 Bill also serves as president of the Austin Interactive Marketing Association, and speaks frequently at national and international shows, including Search Marketing Expo, South by Southwest Interactive, Shop.org, Internet Retailer, Search Engine Strategies, DreamForce, and ad:tech. In late 2012, Wiley Publishing issued Bill’s new book on integrated online marketing, Complete B2B Online Marketing with strong sales. Bill received an MBA with honors from the University of Texas at Austin and his BA from Yale University. If you’re in California, and are a top graduate, and comfortable with numbers and math, you don’t go to work for a marketing consultancy, you go to work in high tech. If you’re on the East Coast, and a top graduate, and good with numbers, you go into high finance, not advertising/marketing/conversion. If you’re most places in the middle of the country, other than Austin, once you graduate, you LEAVE your college town and find a destination city. Austin is a destination city, and a place where I can engage, train, develop, and RETAIN top-tier talent. My coastal competitors struggle to attract anyone solid, and retention isn’t even an option after 1-2 years of training. Matt is the founder and CEO of Clearhead, a digital optimization agency that provides daring, entrepreneurial digital executives with the extra brains and brawn to fully utilize digital analytics and A/B testing practices and drive disruptive results, change and learning. Previously, Matt was the founder of Insound.com and Drillteam Marketing. Launched in 1998, Insound.com is the oldest and most respected of music web-stores, catering to vinyl enthusiasts and other music obsessives. Drillteam was an early social marketing agency, servicing Toyota, Target, Nike and other elite brands. Following the sale of Insound to Warner Music Group, in 2007 Matt was hired to design and lead WMG’s Direct to Consumer business. He holds degrees in Fine Art and Semiotics from Brown University and recently moved to Austin, Texas, with his wife and two daughters. To me, it’s a middle-brained thinker, somebody who understands the relationship between design, experience, product and data. That combination of creativity and appreciation for consumer data is a rare one, but a trait that seems to be disproportionately concentrated in Austin. In some ways, this makes sense when you consider the fabric of Austin in 2014—a city of big, young brains, built on the music and tech start-ups that greatly define our local culture. To me, it makes perfect sense that Austin would have a lot of “middle-brained” people, skilled at data-driven optimization. 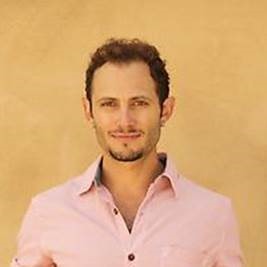 Ryan is CEO of Unique Influence, a digital customer acquisition consultancy that generates customers for high-velocity startups with a rigorous data-driven approach to identifying and solving the Conversion Gap. 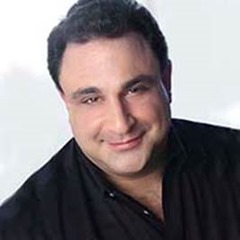 Pitylak’s attention to detail and ability to adapt to the industry’s constant evolution have been key to his success in the internet marketing world. Given Ryan’s 14 years of experience in the digital marketing industry, he considers all potential advertising channels when developing strategy and execution plans. Before Unique Influence, Ryan managed a team at ProfitFuel (Yodle) that provided SEO and PPC services to over 10,000 businesses. 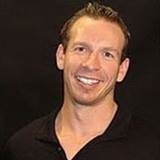 He has also helped some of the most successful consumer-based online businesses in Austin, including HomeAway.com. Ryan received his BA in Philosophy and Economics and MBA from the University of Texas at Austin. Obviously he chose to stay. Austin has a thriving community of companies provide services and sell products on the Internet. As a digital advertising expert, it’s a fantastic place to be able to help a large number of companies be successful. Austin is also seeing a lot of growth, especially in the realm of digital. I expect this growth to continue, which will make the future even brighter for consultancies like ours who help these companies grow. Roger Dooley is an author, international keynote speaker, and consultant. He recently published Brainfluence: 100 Ways to Persuade and Convince Consumers with Neuromarketing (Wiley), which is all about smarter marketing. And he writes the popular blog Neuromarketing as well as Brainy Marketing at Forbes.com. He is the founder of Dooley Direct, a marketing consultancy, and co-founded College Confidential, the leading college-bound website. The latter business was acquired by Hobsons, a unit of UK-based DMGT, where Dooley served as VP Digital Marketing and continues in a consulting role. 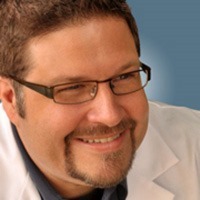 He often applies neuroscience and psychology research to conversion optimization, and has been a keynote speaker at the Conversion Conference, Pubcon Masters Training, and ConversionSUMMIT (Frankfurt). When we decided to move from snowy, low-tech northern Indiana, we wanted a location with warmer weather and a great tech community. Austin had both, and offered a great lifestyle, too. I knew about companies like Dell, AMD, and others with big operations here, but I was surprised at the size and diversity of the web marketing community. Meet-ups on topics like SEO, social media, Internet marketing, affiliate marketing, and other specialty interests are well attended, often drawing over a hundred attendees. As a plus, when one weighs cost of living, state taxes, etc., Austin compares very favorably with the Bay Area and other hubs of tech activity. Luke is the Strategy Director at StreetAuthority.com, where he drives digital marketing strategies from “click to renewal” for a portfolio of premium financial research products. 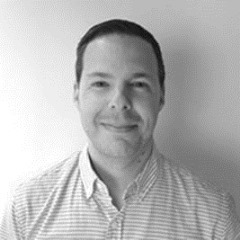 From optimizing landing pages, RPMs and conversion rates to managing site operations and web production, Luke specializes in content strategy, CRO, UX, SEO/SEM, and project and brand management. When Luke isn’t crunching the data, he is digging through vinyl records, playing pub-league soccer, eating breakfast tacos and hanging out with his beautiful, pregnant wife (they are due during SXSW ’14). Leslie claims title as the first person ever to have made a purchase on the Internet. Since then, she’s been obsessed with everything online and is a Certified HubSpot Inbound Marketer. Her online marketing agency, Idea Pioneer Media, helps businesses pinpoint the right mix of online strategies, focusing on content and social media, and creates a highly trackable system that takes customer all the way through the buying process. Her mantra is creativity + accountability = conversions. Leslie’s worked with everything from e-learning companies to well-funded startups and runs her own ecommerce business, HairChi. For someone who is an entrepreneur and future bestselling author of fiction, Austin provides the perfect mix of quirky, creativity, and start-up culture to call home and business hub. 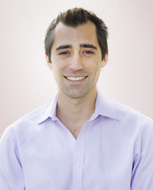 Matt Gratt is a growth marketing professional, specializing in B2B startups. He works at BuzzStream as a Senior Marketing Manager, growing the CRM for content promotion and link building. He also blogs for industry-recognized sites such as Moz, KISSMetrics, the Future Buzz, and more. Previously he worked at a boutique digital agency, and was the first employee of AppCentral (acquired by Good Technology). He has a BA from UC Berkeley. In his free time, he enjoys drawing, chess, live music, and tacos. Austin has wonderful weather, affordable housing, a great lifestyle, and no state income tax. If you like tacos and live music as much as I do, it’s the perfect place to live. 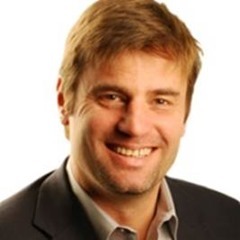 Brett Tarr is an internet marketing consultant and president of The Tarr Group, a company focused on providing holistic, pragmatic, and innovative internet marketing consultation and services to high-tech B2B companies. 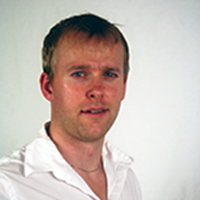 He works primarily on private projects, taking on clients occasionally and providing advice freely in his spare time. Easy. It’s the people. But that’s too simple…. Specifically, there are a lot of great people in this city who really care about the work they do. They want to continually exceed their expectations and push themselves and their conversion rates higher and higher while fully enjoying the work they do. Austin has the highest per capita of creatives, entrepreneurs, information marketers, persuasive copywriters, UI/UX designers, consultants and many others that make up this wide and diverse field of study we call CRO. But more importantly, it’s a city filled with southern hospitality, acceptance, integrity and people who are always willing to share what they’ve learned in order to help you, them and our practice grow. I’m sure I’m missing others. Please nominate your favorite online marketing pro in the comments. Austin offers rich soil to companies that want to be successful online. Whether it’s the tacos or the people, the music scene or the mandate to keep it weird, there’s no denying the magnetic pull of this city. And let’s face it, when you can rub shoulders with the likes of these CRO experts, enjoy the food and fun only available in Austin, you have to agree it honestly is the conversion capital of the world. If you feel the pull to join them, don’t resist. This cluster is definitely worth exploring. 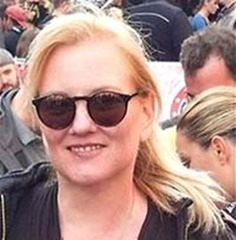 Katharyn Aragon is the editor of The Daily Egg and publisher of the C4Report. 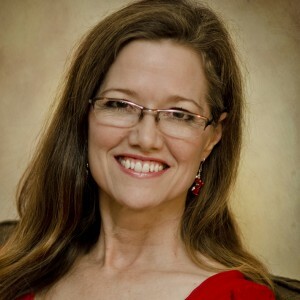 She is committed to helping businesses communicate, connect, convert…and capture their market. Follow her on Twitter and Google+. 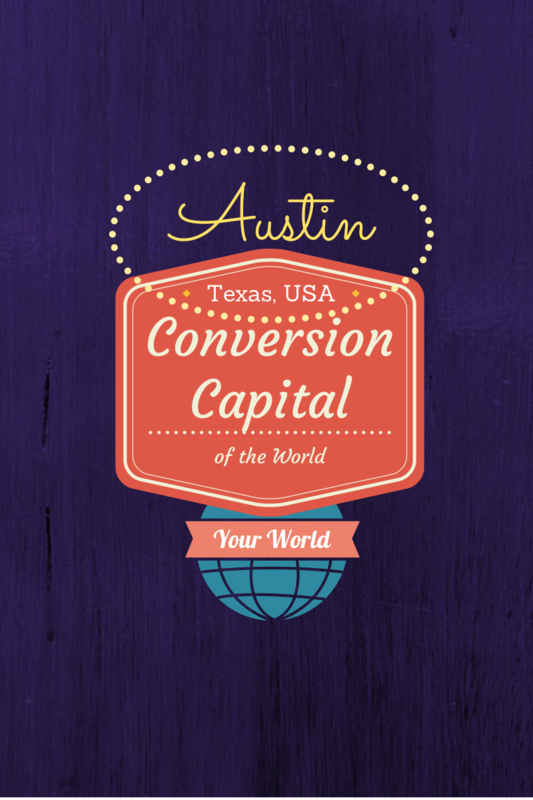 Still unsure whether Austin is the Conversion Capital of the World? Check this article out on SlideShare. Ed, it was our conversation at the DAA Summit here in Austin that inspired this column, so thank you for helping to father this.